A MUST SEE.... 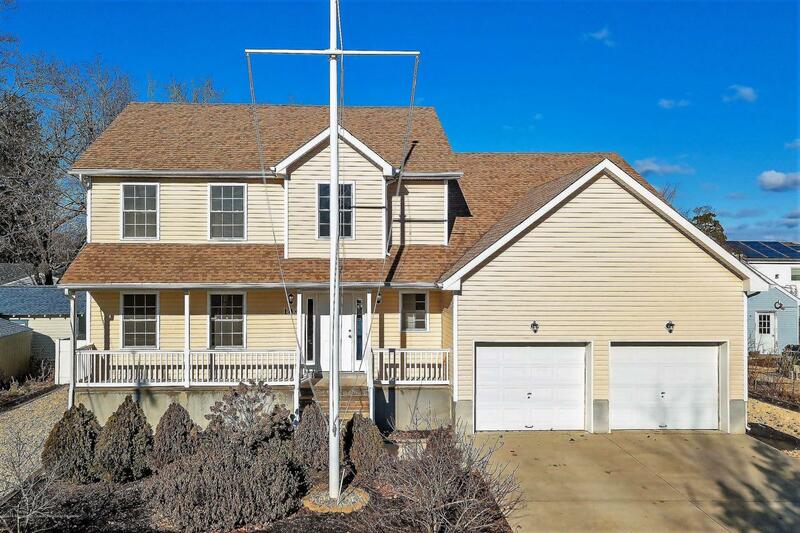 THIS EXTREMELY SPACIOUS colonial home boasts 5 bedrooms, 3.5 baths and a bonus room. The main floor features a formal living room, a dining room, laundry room leading to the extra large 2-car garage, a 1/2 bath/powder room, kitchen w/ NEW stainless steel appliances, and a huge family room with sliders to backyard! Hardwood floors on both levels, the upstairs has a master bedroom with full master bath and large walk-in closet, 3 additional bedrooms and a full bath. The Fully-finished basement features a separate entrance, laminate flooring, large open family room, the 5th bedroom, a large bonus room for an office/den/playroom, and utility room w/ new hot water heater. The vinyl-fenced-in backyard has a concrete patio and enough space for a pool! You Ready to move in? Listing information © 2019 Monmouth-Ocean MLS. Listing provided courtesy of Thomas Channing of Crossroads Realty Executive Office.